October | 2017 | ". . . let God be found true, though every man be found a liar." This program aired on KIUN 1400 AM in Pecos, TX on October 20, 2017. It has been said that the most difficult instrument to learn to play is second fiddle. This is because we all would prefer being in the number one position. The musician in the first chair not only plays the primary melody of the music, but may also be a featured soloist in some pieces. As fine as the musician in the first chair may be, however, it takes all the musicians, including the “second fiddles”, melding their talents together to create the harmony that makes a piece of music moving and memorable. This is true in every field of endeavor, and is especially important in God’s kingdom. Throughout the record of scripture supporting players, “second fiddles” as it were, have been there to help the more well-known figures in scripture accomplish God’s will. One such person was a man named Hur. In Ex. 17:8-13 the scripture tells us that the people of Israel were confronted by the nation of Amalek. 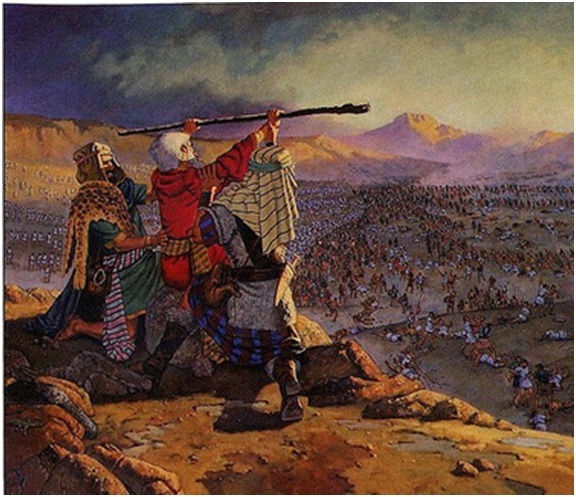 Moses sent Israel’s army out to meet them, under the leadership of Joshua. Joshua received credit for the victory, but it would not have happened without the help of Hur, who played “second fiddle” to perfection that day. The glory was on the battlefield, but Hur willingly performed essentially a menial task in order to facilitate Israel’s victory. We don’t know a lot about him, and after this incident Hur vanishes from the biblical text. He did what needed to be done, and then quietly went back to his business, whatever it may have been, without further recognition. When we consider this incident in the light of the work of the church, we realize that we need sons of Hur today. The term “sons of” was often used in the Old Testament to describe followers or disciples, rather than actual offspring. Thus, when we say we need sons of Hur today we are saying we need men and women who will emulate this good man. We need men and women who will forego the spotlight in order to help accomplish God’s will in His church. Obviously we need those have been trained and are qualified for public leadership in the church. We likewise need those who have been trained and are qualified to publicly proclaim the good news in order to save the lost and to edify the saints. However, we also need those who are willing to be the “second fiddles” in God’s spiritual orchestra. These humble servants, who are content to labor out of the spotlight, are essential to sustain and to encourage those who are in the forefront of the work. A New Testament son of Hur was Barnabas, whose name means “encourager” (Acts 4:36). He started out serving quietly behind the scenes, but eventually became a well-known leader in the early church. The same can be true of each of us today. We just have to be content to begin our service in whatever capacity the church needs, whether we ever stand at center stage or not. Human nature craves attention and recognition for what we do. Godly nature, however, recognizes the Lordship of Christ, and the value of humble service. Lord, grant us men and women who are “sons of Hur”. This program aired on KIUN 1400 AM in Pecos, TX on October 18, 2017. In 1970 a blues/rock group called Canned Heat released a song entitled, Let’s Work Together. It was a modest commercial success, rising only to #26 on the U.S. charts. However, the song struck a chord with many because of how deeply divided the country was at that time. Its lyrics called on people of all ages to put their differences aside and to work together because, as the song said, “together we stand, divided we fall”. When Paul wrote to the church in Ephesus he also emphasized the importance of this principle. In Eph. 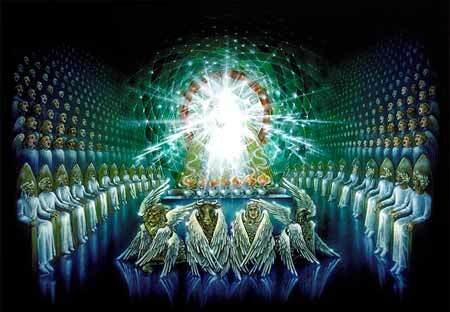 4:11-16 he said that the Lord had placed apostles, prophets, evangelists, and pastors and teachers into the church in order to equip the saints for the work of service. Then, he said that the purpose of this was so that, “the whole body, being fitted and held together by what every joint supplies, according to the proper working of each individual part, causes the growth of the body for the building up of itself in love” (v. 16). 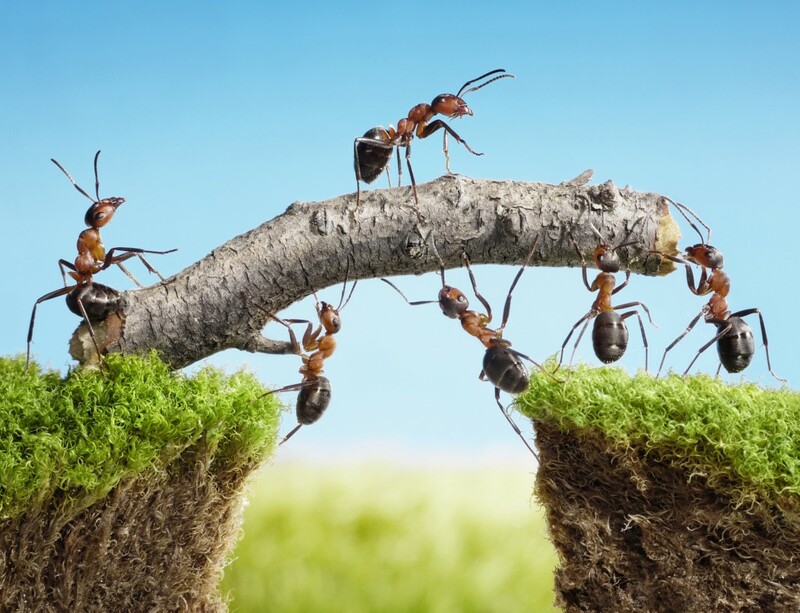 Therefore, it is imperative that Christians work together within the body in order to accomplish the Lord’s purpose. In 1 Cor. 12:12-26 Paul used the illustration of a human body to describe how each member of a local congregation plays an important part in the spiritual health and growth of that congregation. The bottom line is that we are all essential to the good of the church and we must all do our part to help the church be all that it is intended to be. To accomplish this, we must each commit to four basic principles. First, we must be willing to submit to biblical authority. Near the end of the Sermon on the Mount the Lord said, “Not everyone who says to Me, ‘Lord, Lord,’ will enter the kingdom of heaven, but he who does the will of My Father who is in heaven will enter” (Mt. 7:21). If we commit to doing whatever God’s word requires of us, we will work together with our fellow Christians to build up the church. Second, we need to start living by the Golden Rule. In Mt. 7:12 Jesus said, “In everything, therefore, treat people the same way you want them to treat you, for this is the Law and the Prophets.” This means being proactive in the exercise of our faith. If we do this, the church will be better because of it. Third, we need to look out for the interests of others instead of only looking out for our own interests. In Phil. 2:3-7 Paul told the church in Philippi to have the same attitude as Christ in this regard. 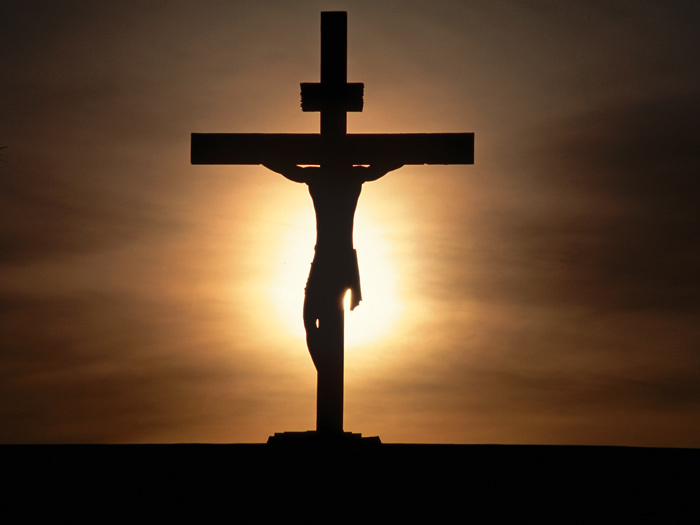 He went to the cross because He was looking out for our interests more than His own. If we focus on the needs of others, and they likewise focus on our needs, the church will be better off. Finally, we need to be willing to personally do whatever the Lord requires for the good of His kingdom. Isaiah the prophet answered God’s call by saying, “Here am I. Send me!” (Isa. 6:8). This should be our response as well. 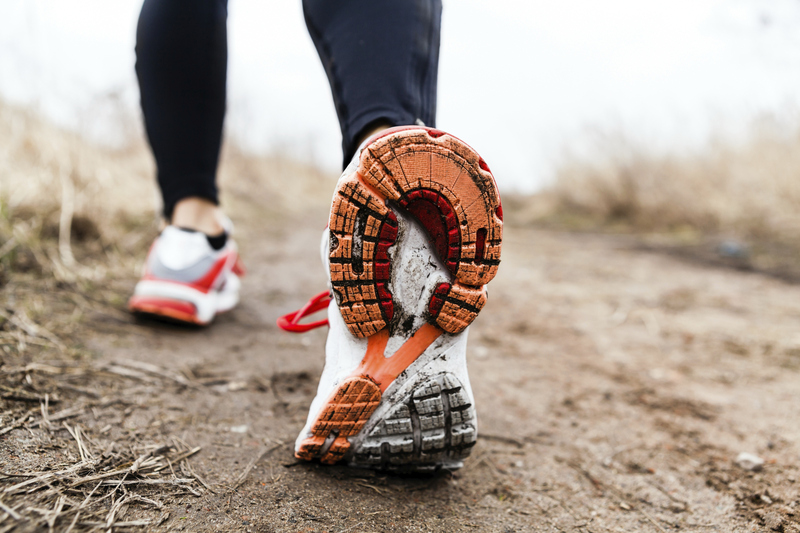 God has not called us to be spectators, but to be active participants in the work of His church. If we respond as Isaiah did, the church will be blessed by our actions. The work of evangelizing and of edifying the saints is in our hands as the church. The church is “us”, not “them”. If we don’t do this work, it won’t get done. If all of us don’t do our part, it won’t happen. Therefore, let’s work together to get it done. This program aired on KIUN 1400 AM in Pecos, TX on October 9, 2017. The backbone of any military service is its non-commissioned officers. These men and women make sure the officers’ orders are followed, and that the mission is successfully completed. They are different from the rest of the enlisted ranks because they are typically more career-oriented and more devoted to the business of soldiering. In past conflicts American NCOs have often used their initiative and expertise to lead our troops when officers were unavailable or incapacitated. This has been and continues to be a significant advantage when our armed forces go into battle. In ancient times there was a class of soldiers in the Roman legions who perfectly fit this model. They were the centurions. A Roman legion generally consisted of 6,000 men who were led by a general whose name would be written in the chronicles of the legion’s victories. The centurions, however, commanded 100 men and were the glue that held the legions together. When we open the pages of the New Testament, centurions are mentioned several times. In each case they are portrayed as honorable men. They were conscientious in the fulfillment of their duties, and are never depicted as being abusive or unscrupulous. In the one certain instance in which Jesus dealt with a centurion, the man treated the Lord with utmost respect. This incident is recorded in Mt. 8:5-13 and in Lk. 7:1-10, and the Lord marveled at the faith of this Roman soldier. When the Lord breathed His last breath on the cross, the centurion who was in charge of the execution exclaimed that Jesus must have been the Son of God (Mk. 15:39). This certainly suggests that he was far more honest than many of the Jews. The most important centurion of whom we read in the New Testament was Cornelius. 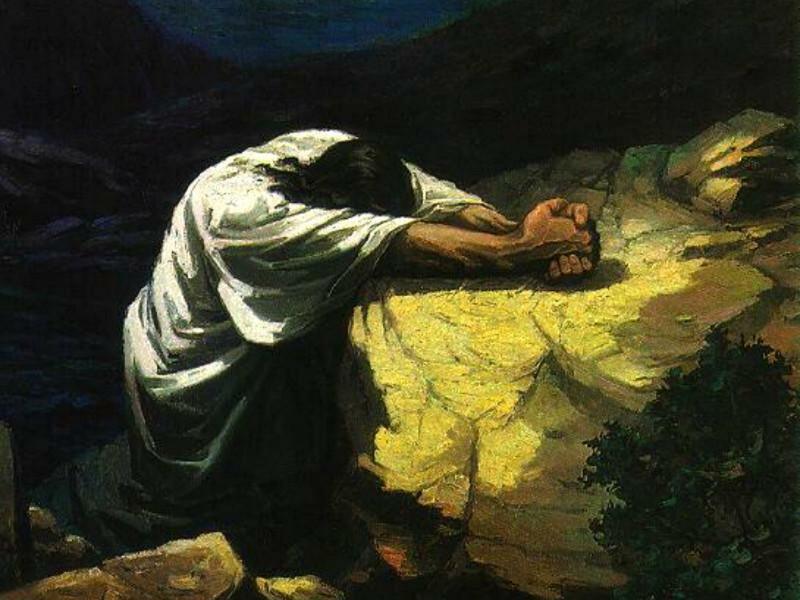 In Acts 10 we learn that he was a devout man whose prayers had risen as a memorial before God (Acts 10:4). Although he was accustomed to commanding others, this centurion followed every command the angel of God gave him. 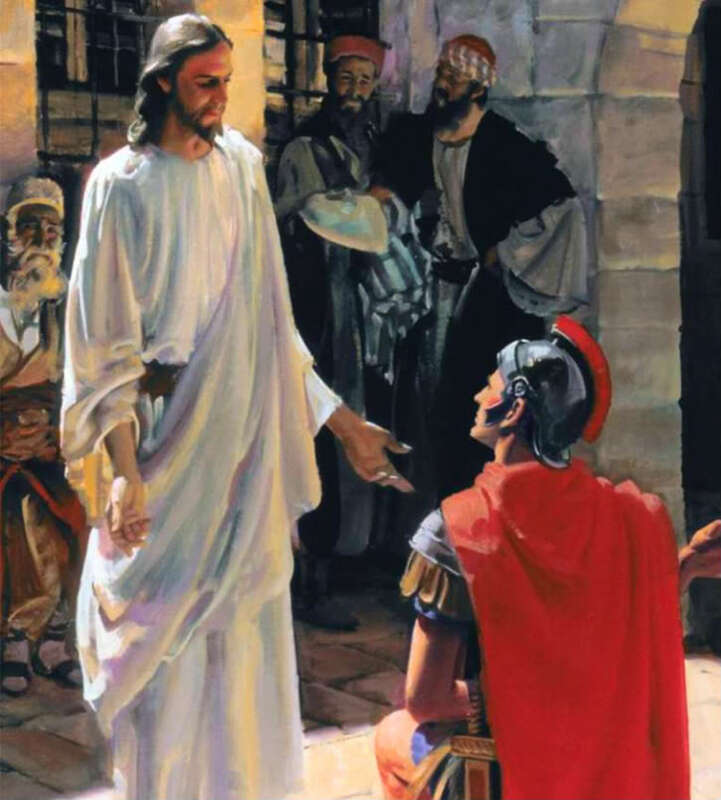 Then, when Peter came and preached the gospel to him and his household, this centurion obeyed the command to be baptized in the name of Jesus Christ (Acts 10:48). The centurions of the New Testament are an example that we would do well to follow as believers. We should be diligent in our service to the Lord, just as they were to the Roman legion. We should be dependable and reliable in our service, just as they were. We should be willing to do whatever our commander, Jesus, requires of us, just as they were to their superior officers. And, we should be respectful and humble before the Lord, just as the centurion was in Mt. 8 and Lk. 7. A common malady in many organizations is that too many within the organization want to be the boss, and too few are willing to be the workers. We sometimes refer to this condition as, “Too many chiefs and not enough Indians”. The centurions of whom we read in the New Testament were chiefs in one important sense, but they were also Indians in another, equally important, sense. These men knew how to balance their responsibilities both as leaders and as servants. So, also, must we. No matter what our role is in the church, we are all slaves of the one and only Son of God. Even those who are vested with the responsibility of leadership in the church, must also themselves serve the King of kings. The church only grows when each member does his or her part in accordance with God’s word (Eph. 4:11-16). Therefore, let’s make it our goal to become centurions for the Lord, and to give Him the kind of honorable service that He alone deserves. This program aired on KIUN 1400 AM in Pecos, TX on September 1, 2017. One of the more powerful memes to appear on social media says, “You are free to choose, but you are not free from the consequences of your choice.” The author of this statement is unknown, but its truth is unimpeachable. Unfortunately, too many people seem to be unconvinced of it. The criminal makes the choice to break the law, but often seems genuinely offended that he must pay a penalty for that choice. The abortion industry thrives because so many choose to ignore this truth. Even professed believers sometimes get caught up in the mistaken idea that somehow we can avoid the consequences of our choices. 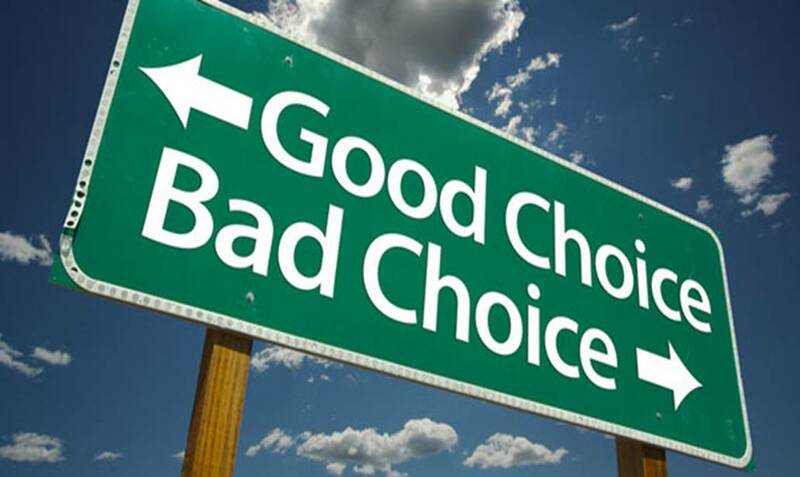 It is obvious that irreligious people have no vested interest in the principle of choices and consequences, but professed believers certainly do. The scriptures testify to this truth, literally from cover to cover. Adam and Eve made the choice to eat the forbidden fruit, and they suffered the consequences for having done so. God punished them and cast them out of the Garden of Eden. King David made the choice to commit adultery with Bathsheba, and he, too, suffered the consequences of his choice. The child born from that illicit union died, and the sword never departed from his household thereafter. In the New Testament, Judas Iscariot made the choice to betray Jesus to the Jews. At any point up to the very act of betrayal he could have made a different choice, but he didn’t. When he felt remorse for what he had done, he made another choice. He chose to take his own life. Instead of receiving forgiveness and redemption, he sealed his fate, and is now held in universal disdain by all believers. This is where believers sometimes get caught up in the mistaken idea of avoiding the consequences of our choices. We understand, appreciate, and desperately depend on the grace and mercy of God who offers us the forgiveness of our sins. The blood of Jesus Christ, which was shed on the cross of Calvary, washes away our sins when we are immersed for the forgiveness of our sins (Acts 2:38; 22:16). After this initial cleansing, we are promised that it continues to cleanse us when we sin, if we confess our sins and ask for forgiveness (1 Jn. 1:5-10). In Jer. 31:34 the prophet quoted God the Father saying that in the time of the new covenant He would forgive the iniquities of His people and He would not remember their sins anymore. This is a fundamental truth which all believers hold dear. When God forgives our sins, we are forever spared the eternal consequences of the choices that led to those sins. However, the fact that God does not remember the sins He has forgiven does not remove the temporal consequences of those sins. A murderer can be forgive of the choice to take someone’s life, but he will still likely be executed or spend the rest of his life in prison for that act. An adulterer can be forgiven, but he will likely spend the rest of his life dealing with the temporal consequences of having violated his wedding vows. A liar or thief can be forgiven, but he will still have to deal with the physical consequences of these choices. The point is this: forgiveness does not remove these physical consequences, and we are misguided to believe that it should. Saying that we are free to choose, but are not free from the consequences of our choices does not negate God’s grace and mercy. It simply acknowledges the fact that our actions have physical as well as spiritual consequences. Let us keep this truth in mind every day. Perhaps doing so will help us make the right choices instead of the ones that will lead us into sin.